The team of management experts at Axis Leisure Management includes expatriates and local executives who are highly experienced in operational start-ups as well as takeovers of existing properties. With the expertise, Axis’s operations management will also be involved in implementing business processes, rebranding and positioning of the properties to ensure optimal results and returns for the Owners. An alternative to Operations Management, Axis acts as the owners management consultants and provides expertise and advice in all areas of operations through regular site visits and regular communication. Looking at the project through the eyes of the Owner, Operator and Customer, Axis’s lengthy track record in building and operating full service, all season destination resorts ensures that all considerations are evaluated and planned for – culminating in a finished product that everyone is proud to be a part of. Axis is proud to represent a broad range of global clients from a diverse group of business sectors, including Development, Consulting, Media, Retail, Sport, Entertainment and Tourism. What they have in common is that they all clearly visualize the enormous potential in the China marketplace and are following a responsible, creative and global best practice approach to realizing success. 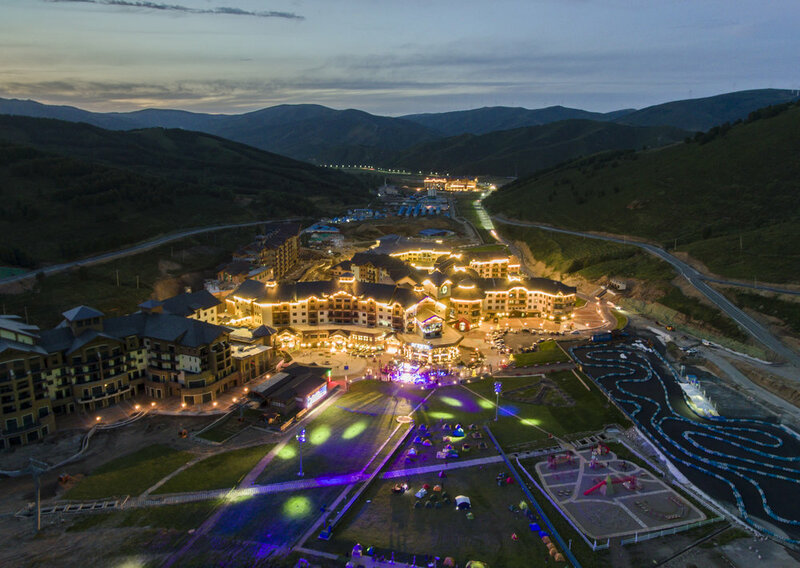 Our design packages include everything you need to make sound and informed business decisions when developing a ski resort. We work to understand market competition and opportunities, and any outside factors that will help guide the business planning and design process. Our work forms an integral part of our client’s business plans. We understand the power of ideas and understand the client’s need for impact and recognition. Supplied by vast network of contacts we can arrange any event for you anywhere in China. We are just as comfortable organizing a press conference as we are a corporate symposiums spanning over several days. Axis works closely with the assembled team of project consultants to provide expert guidance through the planning, scheduling and operational design phase to the grand opening. Axis will provide a systematic approach and sound business planning to ensure long term financial success. Our construction supervision service extends to include integrated resorts, ski and golf facilities, hospitality and entertainment projects. The Axis team of experienced hospitality, resort and winter facility development and operations experts are well equipped to provide the Owner with the necessary input, insight and guidance to ensure that the project meets or exceeds international standards for design, function and operations. Axis manages the entire process from contract negotiation, through design and construction from our local office in Beijing. In the areas of golf and ski, our team has worked on some of the most prestigious destinations in the world. Coordinated from our offices in Beijing, we deliver complete design packages from concept through to construction. We prepare comprehensive and strategic road maps – designed for success. Working closely with our clients and our design team, we develop distinctive project concepts by considering the special qualities of a place and how people will spend time there.